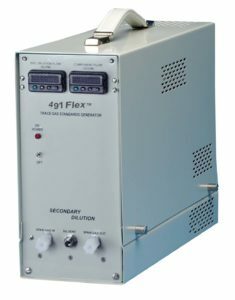 491Flex™ Modules | KIN-TEK Analytical, Inc. 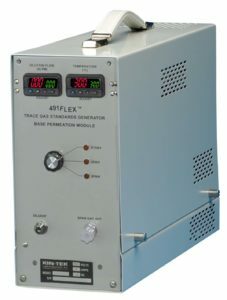 The KIN-TEK Analytical 491Flex™ Gas Standard Generator System is composed of one or more manually-operated modules, depending on application requirements. FlexStream™ Modules can be packaged in stand-alone carrying cases or packaged in one or two 3-module expansion cases. Unused module slots in the expansion cases are filled with blank panels. The modules are electronically connected to each other by a short cable on the rear panel. for applications in which various components will be switched in and out of the gas stream. 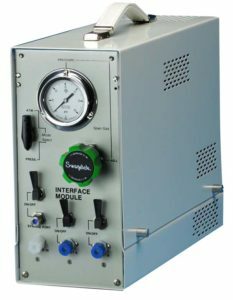 One PM oven module can be added wherein each oven can hold up to eight disposable permeation tubes or one factory-refillable tube. Any combination of ovens can be kept on standby to keep various tubes at temperature while not adding their emission to the output gas stream. 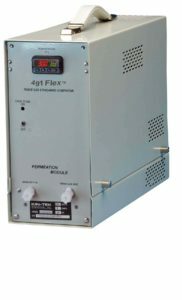 The SD Module extends the range of concentration attained from permeation tubes by providing an additional stage of dilution of the gas stream. Very low concentrations – ppb or ppt – can be generated depending on the emission rate of the tubes and the flow rate range of the primary and secondary dilution flow controllers. Overall dilution ratios of 10,000:1 can be achieved. The SD module extends the range of concentration attained from permeation tubes by providing an additional stage of dilution of the gas stream. 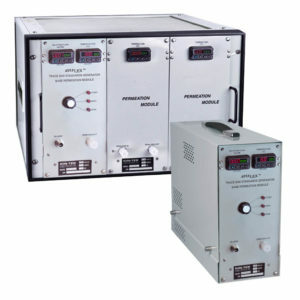 Very low concentrations – ppb or ppt – can be generated depending on the emission rate of the tubes and the flow rate range of the primary and secondary dilution mass flow controllers. Overall dilution ratios of 10,000:1 can be achieved.